Very happy. Super cozy and soft. 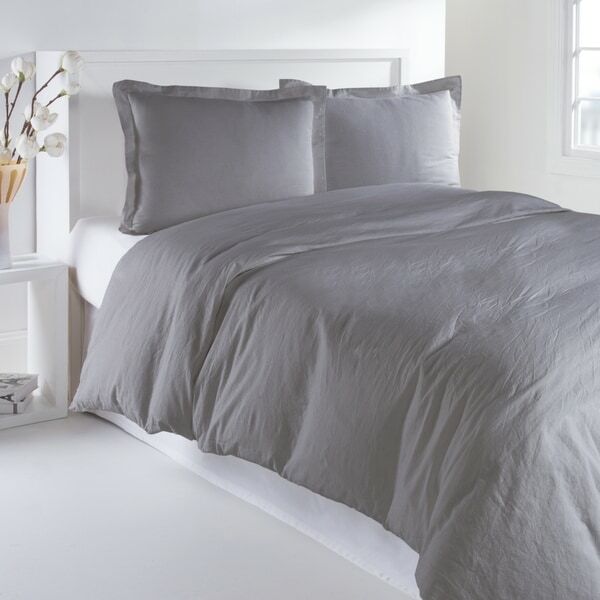 Natural comfort is at its best when you combine luxury linen with supple cotton in this beautiful duvet set. Machine washable, the shabby chic look is yours with this wonderful set. The color is not true white - it’s more of a cream color. Otherwise very substantial fabric that is both soft and durable after several washings. Exactly what I was looking for, very happy with my purchase ! "can you tell me the percentages of each fabric?"